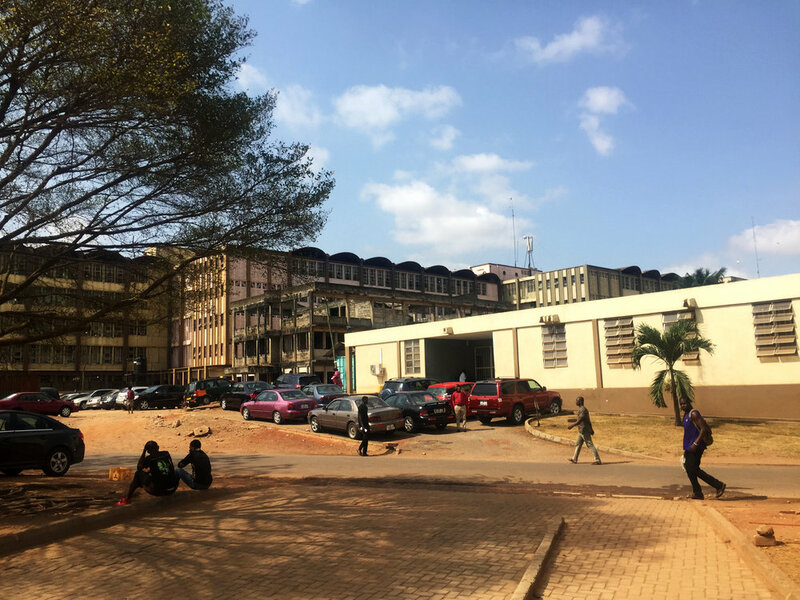 My preferred pick-up location, when taking a taxi or Uber, was at the top of the hill directly between the teaching hospital and the back entrance to the medical student housing in Kumasi, Ghana. I preferred this location because the drivers could get to it easier, without risking damage to their cars while maneuvering the pothole-ridden dirt road leading to the front entrance. I also loved this location because it had the best view of anywhere on the medical campus. Standing on this brick-laden hill, one can see out for miles over the buzzing city of Kumasi. Most noticeably, even from this distance, the sound of people bartering on the streets was clearly heard. One could sense a determined vibration as people attempted to sell food, handmade crafts, remote controls, belts, water, and seats on the trotro - the local public transportation. Directly behind me when I stood at this spot was a massive medical complex, the Komfo Anokye Teaching Hospital. Here, there was a similar buzz as the one heard coming from downtown Kumasi, except this one seemed to have much larger consequences. Instead of money being exchanged for belts and remote controls, here patients and their families paid for basic medical supplies and treatments to keep them alive. 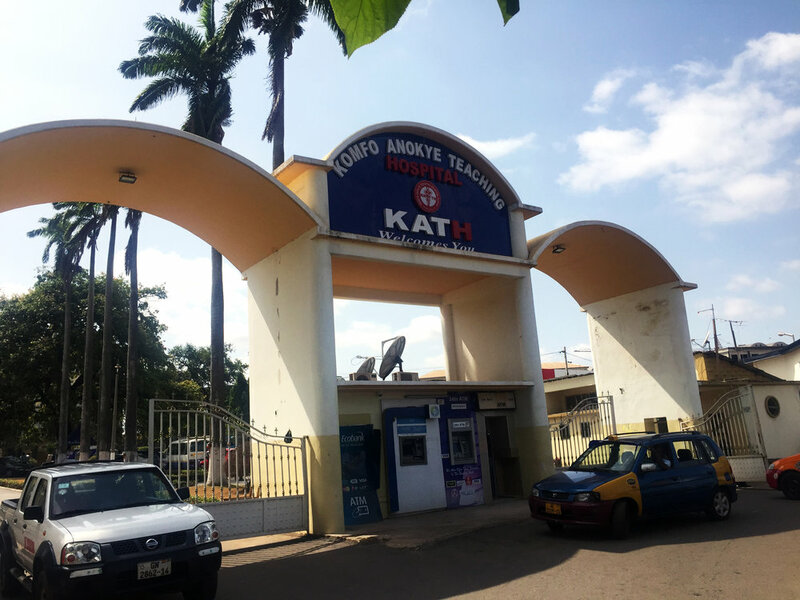 Like other hospitals in Ghana, Komfo Anokye is a very challenging place to practice medicine. Because of a healthcare system with little money, it was very common that patients and their families have to pay cash if they want even the basic testing or procedures. Having a stroke? Make sure you have cash if you want a CT scan (x-ray) of your head. Unable to walk? Make sure someone buys you a wheelchair or else they may have to carry you out of the clinic. I’m serious. I’ve seen it. The doctors and medical staff were incredibly dedicated to their patients, and constantly did all that they could to make sure each patient had the best possible outcome. But with limited resources, these practitioners could not rely on using expensive technology to take care of their patients. They had to develop other clinical skills to figure out diagnoses, and trust their hands to guide their decision making. The doctors drew blood themselves, and would map out the contractions for a pregnant woman on a special chart by hand. They listened very closely for breath sounds with their stethoscope since their patients would likely not be able to afford an x-ray to rule out pneumonia. They were more tuned in to the physical signs of high pressure on the brain because they could not rely on scanning the children to check. When traveling to a place where many people don’t have a lot of money, your instinct may be to focus on the things you have which they may not. But one of the great lessons for me while in Ghana was that out of struggle, can come skill. In these incredibly difficult, unfair, and often frustrating circumstances, doctors were forced to be confident. They had to trust in their own hands and their own minds, they had to learn to pay attention to even small details, and they had to do their job as efficiently and cost-effectively as possible. This remarkable expertise developed because the doctors didn’t have a choice-- they had to use what they could to take care of their patients. But these skills that they learned are tools which can be useful to all of us in any setting, wherever we may be. Today, I carry the techniques and perspectives that I learned here, and it will help me take better care of my own patients in the future. Similarly, wherever it is that you may travel, even if it is right within your own community, there are endless skills that you can learn from those who are around you and the challenging situations you may find yourself in. It is often in the most difficult of circumstances that we are able to learn the most! Educators/Parents - Challenge your students to think about what life skills they might be able to gain through traveling somewhere outside of their comfort zone. Students - What are some skills that you always wanted to improve on, and how might traveling help you get better at them? Kamaal Jones is a guest contributor on WellTraveled Wednesday. He is a 4th year medical student at Loyola University Chicago, and will start his residency training in pediatrics at Stanford beginning in the summer of 2018. 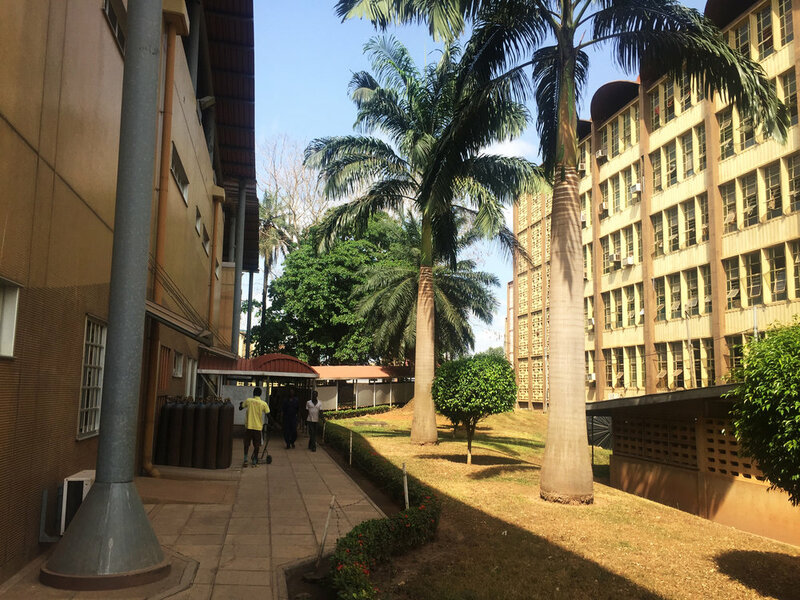 In addition to previous medical mission work in Haiti and South Africa, Kamaal recently spent a month in Kumasi, Ghana, where he received training at the Komfo Anokye Teaching Hospital. Kamaal Jones is a 4th year medical student at Loyola University Chicago, and will start his residency training in pediatrics at Stanford beginning in the summer of 2018. In addition to previous medical mission work in Haiti and South Africa, Kamaal recently spent a month in Kumasi, Ghana, where he received training at the Komfo Anokye Teaching Hospital.